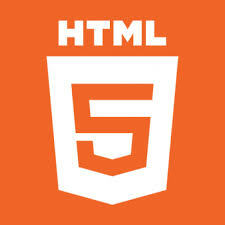 Html is a markup language that enables you to create attractive and interactive websites. It enables you to present a text in a readable format.For Examples-on the front of the newspapers, certain news heading are the bigger than the others.The news heading are followed by the details of the news stories in paragraphs, sometimes pointing to a different page.If the details are on the different page, page number is specified along with the story or the heading. 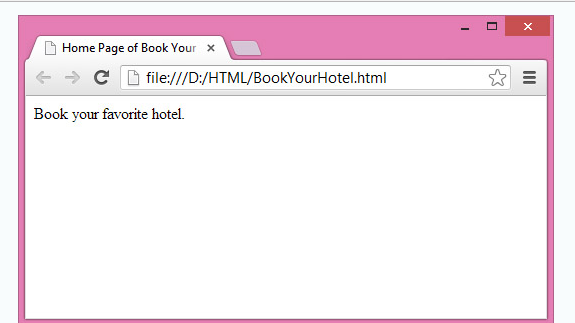 The<!DOCTYPE> tag provide the instruction to the browser about the version of the HTML. The <Html> tag specifies to the browser that a document is a Html document.The opening Html tag<html> and closing Html tag</html>mark the beginning and end of a webpage. The <Head>tag is contained within the <Html> and </Html>tags.It is used to describe the header of the Html document. The <Body>tag set the boundary for the content in the Html document.When the webpage is displayed in the browser, user can see the content enclosed within the opening<Body>and the closing<Body>. Consider a situation where you need to specify some keywords for your website so that they can be easily searched by the search engines.To implement such functionality, you can use the <Meta>tag. The content of the Webpages is rendered without colors and styles in the browser. This makes it non appealing to the users.To rendered the content of the Webpages aesthetically and to make it attractive, you need to style the text.For this you can use the <Style>tag. Consider the following code snippet for designing a <Style> tag. In the preceding snippet code , the <STYLE> tag specifies that the heading is displayed in red color and the paragraph in italic. When the browser come across the relevant tags in the body section, it applies the style associated with it while rendering the Web page . You can create one <Base> tag in a document. Consider the following code snippet for defining the <Base> tag. The content of a Web Page is rendered without colors and styles in the browser. This makes it non appealing to the viewers. To rendered the content of the Web page aesthetically and to make it attractive, you need to stylize the text, For this you can use the <Style> tag. Consider the following snippet code for defining the <Style> tag. In the preceding code snippet, the <Style> tag specifies that the heading is displayed in red color and the paragraph is italic . When the browser come across relevant tags in the body section , it applies the style associated with it while rendering the Web page.